The Centrale Ortofrutticola has been selling and distributing fruit and vegetable products for the past four generations, overseeing the entire supply chain from the selection of agricultural producers to the delivery of goods order to shelves in Italy and abroad. The company was founded in 1986, when brothers Massimo and Giorgio Del Bello and their friend Giuseppe Belardi decided to expand their business to target the Italian and overseas retail markets, boosted by the experience and professionalism they had built up over the years. The Centrale Ortofrutticola is currently able to move large quantities of fresh produce every day from selected partners in the most typical production areas. The company adheres to all of the most recent regulations relating to hygiene (HACCP) and health and safety in the workplace (81/2008). 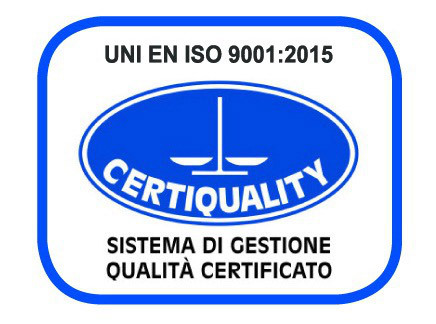 In order to ensure this, we use a quality control system which meets UNI EN ISO 9001:2008 standards. The Centrale Ortofrutticola is based in a commercial and refrigeration facility in Milan, one of the biggest fruit and vegetable markets in Europe. This base allows us to guarantee quantity, quality and freshness at all times and meet the needs of even the most demanding clients. Thanks to the commercial skills and expertise we’ve built up over time, we are able to offer clients advantageous prices throughout the year by working with loyal, exclusive suppliers. We offer our clients the possibility to interact with two sales contacts in order guarantee simple, quick and constant communication. We undertake strict monthly checks on our organizational system to ensure we adhere to the requirements set out in UNI EN ISO 9001:2008 certification. Our employees have extensive experience in commercial, technical/production and administrative fields and we organize many refresher courses every year.